Life is full of inconveniences and emergencies both large and small and choosing the right emergency locksmith San Diego is one of those choices that can help avoid potential disaster. Serving the San Diego, CA and surrounding area, 858 Locksmith is well committed to providing excellence and dependability as your emergency locksmith San Diego. At 858 Locksmith we are proud of our commitment to providing our customers with first rate, fast and friendly service. We have highly skilled and well trained locksmith technicians and offer complete locksmith services. With 5+ years experience in the industry, we are a cut above the rest and go the extra distance to assist you with your emergency locksmith needs. Professional, honest, and dependable service is what we strive to provide the San Diego, CA and surrounding area. We offer a friendly staff and 24/7 locksmith service to handle your emergency and get you back to living your life. Our complete locksmith service is licensed, bonded, and insured for your protection and peace of mind. 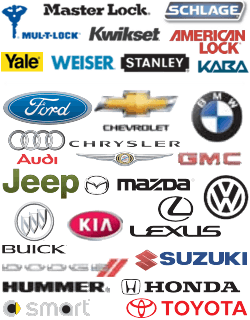 Our expert technicians will give you a fast and friendly service and up front pricing. We offer complete range of emergency locksmith services for any situation. As your go to choice for an emergency locksmith in San Diego, we offer a variety of emergency services with a fast 30 min response time. Being locked out of your home or car can be a frightening and stressful situation, and we understand that you need to get in your home or back on the road as quickly as possible. All of our emergency services listed below will come with up front pricing so you will not have to worry about guesswork when it comes to cost. Car Lockouts – There is nothing more frustrating or potentially disastrous than being locked out of your vehicle. In situations such as these, 858 Locksmith rises above the rest with a 30 min response time and 24/7 availability. Our mobile locksmiths will respond quickly and have the right equipment to handle the situation and get you back on the road as soon as possible. Home Lockouts – Not being able to enter your home can be an aggravating experience as well as extremely stressful. As your emergency locksmith in San Diego, we will handle the situation with quick efficiency and help with all you door lock replacements or repairs. 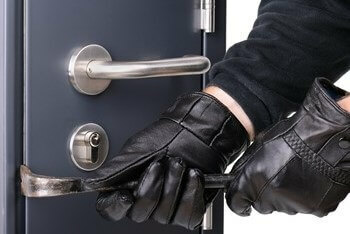 Burglary Damage Repair – Burglaries and break are serious and frightening situations. Our locksmith services can assist you by repairing your damaged locks due to burglary damage and securing your doors and other entryways so your home is safe and secure. Lock Rekey – Purchasing a new or previously owned home is one situation that would wise to have the home re-keyed since it is impossible to know who has copies of your homes keys. Re-keying a lock requires the professional expertise of our well trained emergency locksmiths in San Diego, who can get the job done quickly. Office Lockouts – We provide the same fast friendly service for you office lockout as we do for your home. We will send one of our experts to your office to get make repairs or replacements and gain entry so you can get back to work quickly. Lock Change – If you require an emergency lock change then you can count on us for fast dependable service by honest technicians who can handle any type of job. We provide deadbolt locks, mortise locks, cylinder locks and more. Lost Car Keys – Losing your car keys is a desperate situation. Trust us to handle this trying time by replacing your vehicles keys or gaining access to your vehicles doors or trunk. We are available 24/7 and equipped to handle emergency situations like lost car keys. Key Extraction – You never know when a key will break off in lock, especially an older key. If this happens to you, you need not worry. We have expert techs who can provide fast and professional key extractions. All of our services are fast, reliable, and available 24/7. Contact us today for a free quote. Emergency Locksmith San Diego https://858locksmith.com/emergency-locksmith/ 3.7/5 based upon 6 reviews.